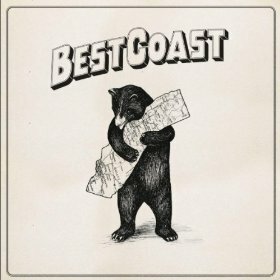 Best Coast splashed onto the scene last summer with Crazy For You, an uneven but addicting album laced with nostalgia and discontent. Their sparse, surfer rock-inspired tunes also pay homage to Los Angeles in all its sun-drenched lethargy. Singer Bethany Cosentino and multi-instrumentalist Bobb Bruno continue to convey their hometown’s atmosphere with their follow-up album, The Only Place. Overall, The Only Place is a more polished album, boasting a fuller sound thanks to producer Jon Brion. However, Cosentino’s lyrics have not evolved much—she still sings about daydreaming, pining for a guy, and not much else. In spite of a few catchy riffs, it is frustrating for the listener to wade through song after song about Cosentino’s superficial, often dreary thoughts. While Best Coast’s first album produced two shining tracks (“Our Deal” and “Boyfriend”), the bright spot in their second is “No One Like You.” Though simple and repetitive, it is where Cosentino delivers the most vocally, and it is likely the song that will stick with you. Her longing is so earnest that when she sings, “If I pack up my things and leave, can I still be the queen to your king?” you can’t help but hope he’ll say yes. Best Coast has crafted a second album that floats on their beloved Pacific—it doesn’t plummet, but it never fully takes off, either.